Sony has today announced the games that will be made available via their PlayStation Plus service for the month of September 2016, announcing the PlayStation 4, PlayStation 3 and PS Vita titles that will be available this month for free. 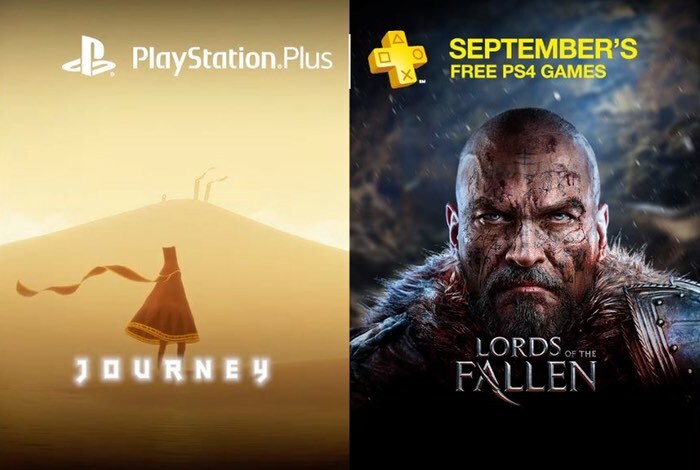 Included in this months line-up PlayStation 4 are Lords of the Fallen and Journey which will also be available to play on the PlayStation 3 together with the Prince of Persia: The Forgotten Sands. Check out the video below to learn more about the PlayStation Plus free games for September 2016. First up is Journey. The talented developers at thatgamecompany bring us the critically acclaimed adventure and winner of numerous Game of the Year awards. Finding yourself alone in the desert, you must make your way to the mountaintop. But there’s so much more to this sublime experience than simply traversing the world. With stunning visuals, an amazing soundtrack, and a unique online experience, don’t miss the very special experience that is Journey. Next up is Lords of the Fallen. Looking for redemption for past sins, you play as Harkyn and try to end a war between humans and the gods. With three classes to choose from, you can tailor the combat experience to your liking. And in a game where every encounter matters and your choices have consequences, the layers of customization are an integral part of the action. So collect your gear and prepare for close-quarters combat as you take the fight to the demon lords.